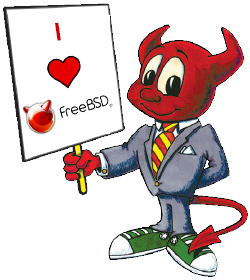 The FreeBSD Team has released their 4th quarter status report for 2018. This report details projects from the Contiguous Integration Team, Core Team, Ports Collection, Release Engineering, and the FreeBSD Foundation. Notable progress and additions are 32-bit compatibility/ABI cleanups, Boot Loader, ACPI NVDIMM driver, DTrace, Intel and Security, ARMv6/ARMv7, RISC-V, RPI Firmware, KDE, Jenkins, ports increase to 32,000, and various Foundation contributions such as ZFS improvements and toolchain projects. See the link below for the full report. Please have a cup of coffee, tea, hot cocoa, or other beverage of choice, and enjoy this culmulative set of reports covering everything that’s been done since October, 2017.